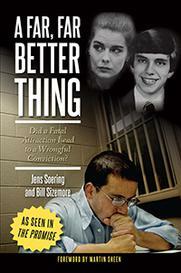 An expert in police interrogation techniques believes Jens Soering should never have been convicted of the 1985 double murder of a Bedford County couple because his confession was full of factual errors. At a news conference Friday, Andrew Griffiths, a retired detective superintendent from Essex, England, said inconsistencies in the confession and the fact that Soering quickly recanted it, should have rendered it useless in court. Soering, the German national convicted of killing his then-girlfriend’s parents when the two were students at the University of Virginia, has maintained his innocence since his conviction in 1990. Griffiths, who also examined the coerced confession of Robert Davis — who recently was pardoned by Gov. Terry McAuliffe in a 2003 double murder in Crozet — said Soering’s confession was different, in that he volunteered the information he gave to police. “I looked at the consistency of what he said compared to other evidence at the crime scene, based on the fact he had recanted his confession almost as soon as he had made it, really,” Griffith said. In the confession, Soering said Nancy Haysom, mother of Soering’s then-girlfriend Elizabeth Haysom, was wearing jeans when she was killed, but according to the evidence and a post-mortem examination, she was wearing a neck-to-ankle floral housecoat, Griffiths said. Griffiths also said Soering was completely wrong about where Nancy Haysom’s husband, Derek Haysom, was killed. “There was also very little blood where he said he inflicted what was a horrific wound,” he said. The difference between this case and Davis’ case is that Soering set out to convince the police he did it, in order to protect Elizabeth Haysom, which Griffiths said was made obvious by all the errors in his story. “I concluded that his confession was unreliable and could not be viewed as a valid confession that could convict him,” he said. Nancy and Derek Haysom were brutally killed in their Bedford County home on March 30, 1985. The couple was found with dozens of stab wounds and their throats cut from ear to ear. Elizabeth Haysom eventually pleaded guilty to first-degree murder as an accessory before the fact. She is serving a 90-year prison sentence, and will be paroled in 2032 at the latest. Professor Mary Tate, founder and director of the Institute for Actual Innocence, sent a statement summarizing her support for Soering’s innocence. She was unable to attend Friday’s news conference in person. Soering’s attorney, Steve Rosenfield, read the statement, which detailed the evidence that convinced Tate of Soering’s innocence. Type O blood stains were the key piece of evidence used to convict Soering, Tate said, but a 2009 DNA test eliminated him as the source of the blood. Dr. Moses Schanfield, an expert in both serology and DNA testing, said the blood type is the most common in the United States, and that he disagreed with the prosecution’s position that Soering was the only possible contributor of the stains at the Haysom residence. “This is not probative evidence,” Schanfield said. Chuck Reid, one of the original investigators in the case, also was scheduled to speak at the news conference, but could not attend due to a death in his family. Instead, Rosenfield read a statement Reid prepared. Reid was one of the investigators in the forensic examination of the rental car Elizabeth Haysom claimed Soering drove back to a hotel room from her parents’ home. Haysom had testified that Soering was wrapped in a sheet that was covered in blood. Investigators did not detect any blood in the car, according to Reid. Crime scene photos show the top sheet missing from the Haysoms’ bed and, looking at photos of Nancy Haysom’s body, Albemarle County Sheriff Chip Harding — who threw his support behind Soering earlier this year — noticed swirls in the blood around her body. In his statement, Reid said it looked like whoever had committed the murders tried to cover up footprints, wrapped the murder weapon and bloody clothing in the sheet and then threw it away. Early in the investigation, Reid wrote that he did not believe Soering was the murderer, but he was not part of an interrogation that took place in England, where Soering and Haysom had fled and eventually were arrested. He also was not called to testify in court. All of the evidence gathered by Rosenfield from different experts has been sent to the governor’s office. It’s unclear when a review of the case will begin, and Harding said he was not given a projected date of completion. Soering had an Oct. 10 hearing before the Virginia Parole Board, at which both former German President Christian Wulff and German Ambassador Peter Wittig spoke on his behalf, Rosenfield said. Wittig’s appearance was the first time a German ambassador had appeared at a United States parole hearing on behalf of a German citizen, according to Rosenfield. 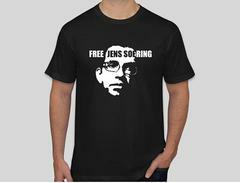 “He did so because his countrymen — the citizens and the government — support Jens Soering coming back to Germany,” he said. Rosenfield said it’s unclear when the parole board will deliver a ruling. The parole board took eight months to deliver a ruling after Soering’s last hearing in September 2016.